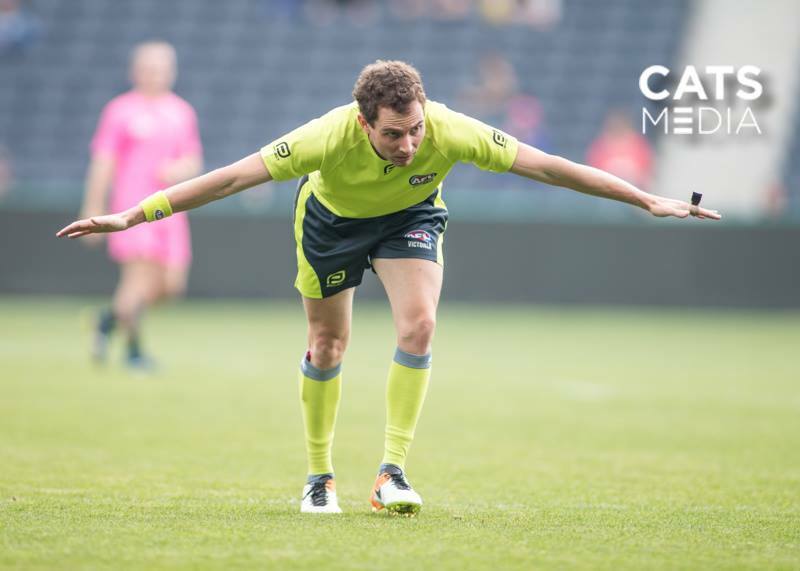 For just the 10th time in VFA/VFL history, and 3rd time for a field umpire, a VFUA member will officiate for the 175th time and qualify for automatic VFL Life Membership. In the lead up to this significant milestone, the VFUA sat down with Tristan Burgess to talk about the journey to this point. VFUA: You debuted in VFL Seniors in 2007, correct? 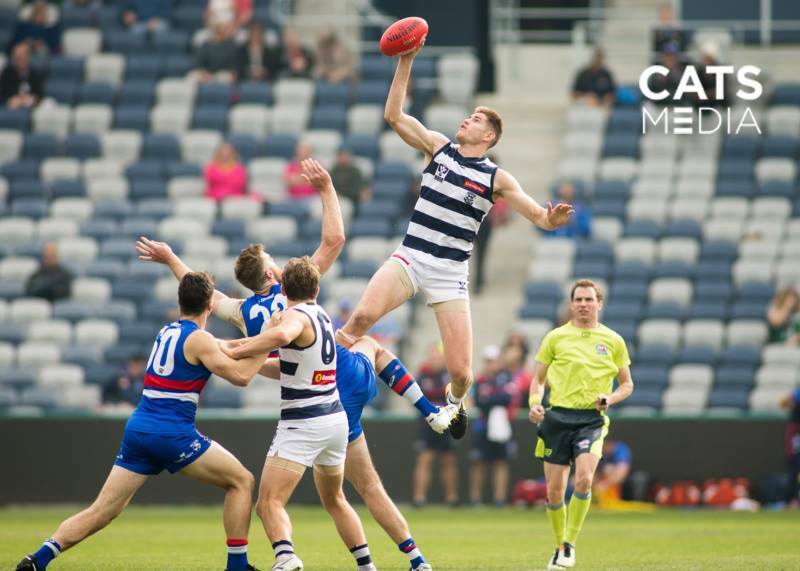 Tristan Burgess: It was Williamstown vs Geelong. I umpired with Andrew Mitchell and Brett Ritchie and it was first v second in round 12. I don’t remember much of that game, but my second game was Box Hill v Port Melbourne. I paid a horrendous advantage, back when we had to call advantage, and Box Hill kicked a goal from it. The Port players, who were much taller than me (they still are) gave me nothing but abuse. Deservedly so because it was the last senior game I did that year! V: VFUA stats says 15. 2 Grand Finals in 2012 and 2015, 3 consecutive TAC Grand Finals from 2007 to 09 and 30 AFL games from 2012 to 2014. For the VFUA, you were Track Rep in 2008 and 09, Vice-President in 2010, 11 and again this year, John Russo Trophy in 2011 and Life Member since 2013. Impressive list of achievements. What memories stand out? TB: When Gold Coast were playing in the VFL, they played in Ballarat. It was less than 5 degrees, raining and at half time, we had hot chocolate to keep warm. Just before the third quarter, when Gold Coast returned to the field, they had no jackets and paused at the top of race and just looked at the conditions and didn’t want to come back out! That was hilarious. The best game I’ve been involved in was the 2011 Semi-Final between Port Melbourne and Box Hill. It was 128 to 124. Both teams kicked 19 goals, plus we had centre bounces and field bounces back then. Physically, it was a brutal game for us, but it was pure hard finals footy. V: What is it about umpiring that’s kept you in the game this long? TB: After experiencing the highest level of our game, I feel as though I still had more to give. I wanted to come back and help the next crop and younger generations on their way to potentially making the AFL. V: How did you get into the world of umpiring? As a youngster, I played under a former Carlton player as an elite backman. But one night, my cousin was playing for Sandhurst in Maryborough in a night series and the club president asked if I would boundary umpire for some coin. As a 15 year old, any money was like gold. I then joined the Bendigo Umpires during the season as a Boundary in 2000. I umpired as both field and boundary in different games. I was appointed to the 2003 BFL Grand Final as a boundary umpire. In 2004 I made my BFL Senior debut as a field umpire in a game where Mick McGuane was one of the coaches. He wished me well for my career. I umpired 7 BFL games before doing the 2004 BFL Grand Final as a field umpire; the youngest to do so at the time! For the next two years, my folks drove me down to Melbourne for training and games, with some help from the late Anthony Hunter. V: You started a long time ago – what’s changed in umpiring over your time? While I was on the Development Squad, the Senior Field ran 2-umpire system still. We used to train in a little room behind the goals at Victoria Park and Kevin Mitchell would show vision using the old VHS technology. I’ve worn white, orange and green uniforms. I only got to wear white prior to 2005 as a regional boundary umpire for TAC Cup games. Training used to be nothing but running. Now we have skills and match simulation. The time trials used to be 4km and 5x1km efforts with 6 minutes recovery between each k. The time trials used to be held mid-season in the wet. The track used for the time trials was a 1km loop that was sheltered from the coaches on one side. Troy McCarthy and Ritchie would always take off at the start. T-Mac would cut about 50m off the course and we would just follow. When we did time trials at the athletics track, T-Mac would cut in front of the steeple chase pool to get ahead of the group on the final straight where the coaches would wait at the finish line. We also used to do the Beep Test on asphalt surfaces at Carey Grammar, and even one year, it was held under the Sherrin Stand! V: As one of the older statesman’s in umpiring, you’d be looked up to by the younger umpires. Who did you look up in your younger days? I looked up to Troy Pannel (when he returned from Sydney) and Rob Findlay. They were the older umpires in the group who were experienced, but they were also just good quality people. They were willing to give time and effort to help others and were respectful when giving feedback. You can see that it’s paid off for them with the AFL careers they are having. Also guys like Jacob Mollison, Ritchie and Mitchell because we were going through the system together. We all had very different personalities, but together we made a good group of people. V: Game 175 this week. Footscray v North Melbourne under the roof at Etihad. What does this game mean to you? It means I’ve achieved so much. It’s a privilege to do one VFL game, but to do 175 is an honour. It can’t be taken for granted when people have missed out in the past. It’s all due to the umpires you run with. It’s not an individual sport; we need our teamamtes. Even though we compete against each other, we all need to have a good day on the field. If one doesn’t, it affects the others. It all comes down to mateship. We’ll be mates with these guys for life. V: Who would you like to thank from throughout your journey? My mum and dad, Brendan and leonie. Without them, I wouldn’t be who I am. They’ve made so many sacrifices, and not just through my years umpiring, but throughout my whole life. Family are the ones who go through the ups and downs with you. They are the people to thank. V: From everyone at the VFUA, it’s been a pleasure to have been a part of the journey at some point, and we all hope you have an absolute blast on Saturday as you take the field for the 175th time.